Alan Alda revealed on “CBS This Morning” on Tuesday that he has Parkinson’s disease. In the interview, the six-time Emmy Award winner said that he found out about his condition — a neurodegenerative disorder that affects movement and sometimes causes tremors — three and a half years ago. However, Alda has been able to live a “full life” and has pressed forward with new projects. The 82-year-old Alda said that he decided to share his condition after he seeing his thumb twitch in recent television interviews. “And I noticed that — I had been on television a lot in the last couple of weeks talking about the new podcast — and I could see my thumb twitch in some shots and I thought, ‘It’s probably only a matter of time before somebody does a story about this from a sad point of view,’ but that’s not where I am,” he said. Other celebrities to have been diagnosed with Parkinson’s include Michael J. Fox, Muhammad Ali, Robin Williams, George H.W. Bush and Neil Diamond. Despite his condition, Alda offered a message of hope for others who are battling the disease and its symptoms. 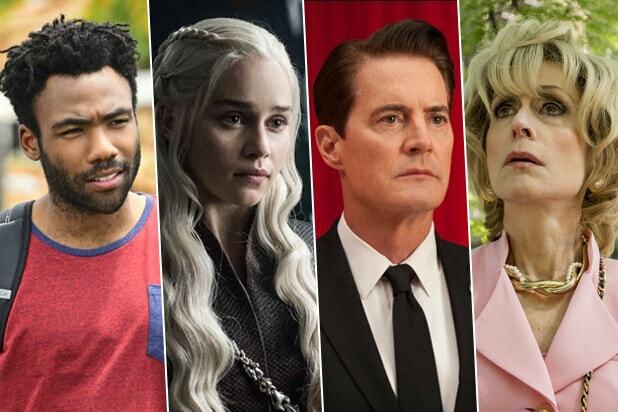 Here are our predictions for the nominations in the top categories for this year's Emmy Awards.